Why I Am Still Waiting For My Militant Brother? Few events change history and few storms shatter families. In past thirty years of unending bloodshed, one after other storms has wreaked havoc on families in Kashmir. In 2017, one of my best friend and cousin, Syed Naveed left home to join militancy. It was shattering. In June 2018, my younger brother Syed Rubaan took the same path and joined militant outfit Al-Badr. These two events left our families in shock and pain. Since then, our parents search them both with tearful eyes. I live in Nazneenpora village, a small hamlet located on the banks of Rambiara River, in Shopian. Since the onset of militancy in the early 1990s, the word ‘gun’ is romanticised here. Every evening, young boys sit in groups and talk about militants and guns. This is how we all grew up. But in mid-2000, after government-backed counter-insurgency group Ikhwan, also known as renegades, became active, these gun-talks became less frequent. After almost fifteen years lull, during which hundreds of Jama’at-e-Islami cadre and sympathisers were killed by Ikhwanis, the romance surrounding the gun made a re-entry. It started in February 2015, when Farooq Ahmad Sheikh, a father of two kids, joined Hizb-ul-Mujahideen. Farooq, a well-known businessman, was detained by Jammu and Kashmir Police (JKP) and army on a number of occasions, as they believed he is in contact with Waseem Malla, the then District (Shopian) Commander of Hizb. During detention Farooq was beaten, verbally abused, and tortured. When the detentions and tortures became routine, Farooq started believing that he would be killed in a fake encounter, and they will blame Malla for his killing. So in February 2015, Farooq took the extreme step and joined Hizb. He left behind a wife and two kids. On May 17, 2016, as the fate would have it, Farooq was killed in an encounter at Pahlipora village of Shopian. But his presence in the area as militant with a gun has already stirred youngsters. A few months before Farooq Sheikh’s killing, in January 2016, Farooq’s namesake Farooq Ahmad Hurra, 20, a poor boy from our village, left home to join militants. He wandered for a few days but couldn’t meet his contacts. 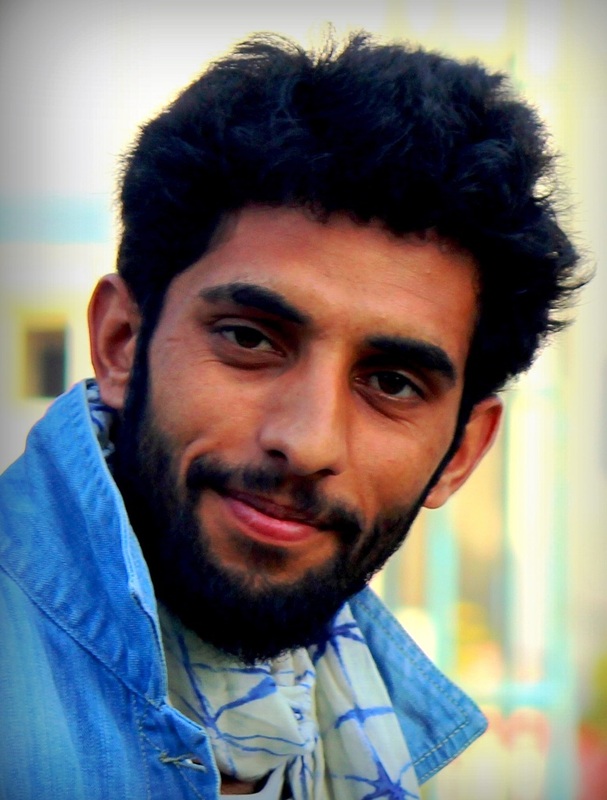 Then on January 26, 2016, Hurra was arrested in Pulwama. After his arrest, District Police, Pulwama, addressed a press conference and said: “they have arrested a militant with a pistol and other ammunition”. After Farooq Hurra’s release, I visited him at his home. He told me that he was not carrying any sort of weapon as claimed by police. “They (Police) projected me as an active militant which was not the case,” Farooq Hurra told me. Four months after his release Farooq Hurra was again summoned by army and police. When this summons became frequent, Farooq Hurra started discussing his ordeal with village elders and youngsters. Then in September 2016, after a series of summons, Farooq Hurra left his home once again to join militants. This time he succeeded in meeting his source. But Farooq Hurra’s militant life proved short as he was killed in an encounter in Padgampora, Awantipora, with his associate in March 2017. Memories: Syed Tajamul Imran being kissed by his younger brother Syed Ruban before the latter joined militancy. After Farooq Hurra’s killing tragedy finally found my home address. My first cousin and close friend Syed Naveed, a policeman, was investigated by Cargo, SIT (Special investigation team Rajbagh) and District police Shopian for four months continuously. Naveed was accused of being in touch with Waseem Malla (district commander of Hizb), Zahid Ahmad (commander Hizb), and the main source of Farooq Ahmad Hurra and Farooq Ahmad Sheikh. Following a trail of harassment, Naveed was transferred to Ladakh where the concerned SP Police made him drill instructor. At the same time, he was disarmed. Perhaps Naveed’s story is akin to those policemen who join the police force to serve the society honestly but were pushed to the wall. These policemen are then left with no option but to join militants. Naveed did exactly the same. He is currently district commander of Hizb. I remember, one day Ruban saw a story in a newspaper about a slain militant commander’s daughter, who was suffering from lung disease. The very day Ruban came to Srinagar and requested me to do something for her. As he narrated her story, he started crying. Moved by his tears and the story of that girl, I requested a few friends and we managed some money for the girl’s treatment. He was always sentimental when it came to the plight of people in conflict-hit Kashmir. On, June 17, 2018, at 11:30 pm, army party came to our village and surrounded it from all sides. Then they entered our house and assembled us all in a room. They accused us of harbouring militants in our house. Then after three hours of search, in which they searched all three houses: ours and our uncles, they found nothing. Then, to everyone’s surprise, one of the army personnel slung his AK47 over Ruban’s shoulder and started clicking his pictures. That very moment I feared I would lose him. When my mother and other family members intervened, they started abusing them all. In the meanwhile, I confronted the army officer and asked him why they are harassing us. But one of his guards started beating me ruthlessly. At this point, Ruban told them that don’t harm my brother as he knows nothing. “He stays outside Kashmir. He is out of home for last seven years,” Ruban told them. But this was not the first time when Ruban was harassed. It all started in September 2016, after Farooq Hurra joined militancy as he was a close friend of Ruban. Later I came to know that Ruban, who had ironically studied in Army Goodwill School, was picked by JKP on the direction of DSP Operation Shopian in January 2018. As usual, I was outside the state. But when I came to know that Ruban was detained, I became restless. After four nights and five days, with the intervention of some friends of mine in police, as well as a few politicians, I succeeded in getting Ruban out. He has been beaten ruthlessly and was not able to walk for a month. The same day I talked to my mom and somehow convinced her to send Ruban outside Kashmir. Finally, Ruban came to Chandigarh, where I was studying as well as doing a job. Once in Chandigarh, Ruban showed me his deep wounds on his left leg as well as on his back. He stayed with me for 23 days, but during that period army from Ahagam camp visited our home looking for him. One day they asked my father to tell him (Ruban) to come back. 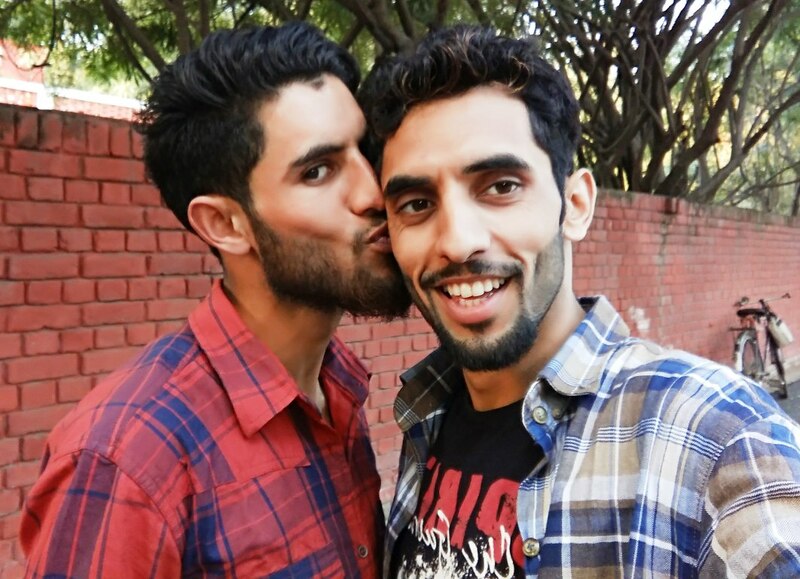 With no option left, I left my job and came back with him to Kashmir. I just wanted to keep my brother out of harm. I was told that apart from DySP operation Shopian, an army man from Ahagam camp, apparently an officer, has abused and beaten Ruban on a number of occasions earlier. These continuous harassments had not only shattered our family but pained Ruban too. Before his ordeal began Ruban was known for his cricketing skills. He was one of the best bowlers who had played in tournaments in Pulwama, Shopian, Kulgam and Islamabad. 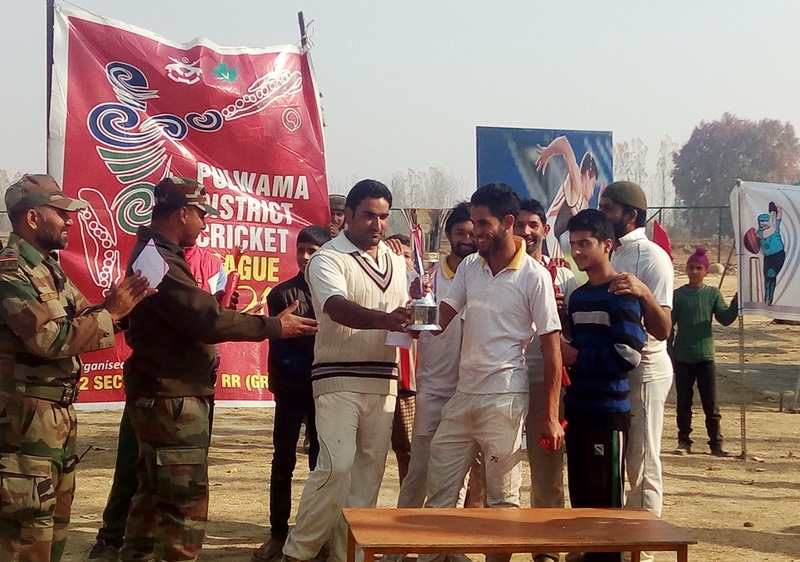 After Burhan Wani’s killing, I remember, the army forced a lot of local boys, especially from south Kashmir, to come and play in their tournaments. Ruban was one among them. He was taken by Ahgam army camp and asked to play with other team members. He was warned if he will not come ‘anything’ can happen. Finally, he went along with other boys to Ahagam Goodwill School to participate in the tournament, without any real interest. However, to everyone’s surprise, Ruban’s team won the trophy. Later Ruban told me that while receiving the winner’s trophy, the army captain asked Ruban to return the same, as they have to organize another tournament. They told Ruban that they don’t have funds to get a new trophy. That evening, we all laughed for the “request”. Just like my cousin Naveed, who couldn’t bear unending scrutiny by his own police department, Ruban too had enough and decided to take the extreme step and join militancy. On July 18, 2018, after offering evening prayers, Ruban came home, took a bath and once again left for Isha (night) prayers. This was his routine. So nobody suspected anything unusual. Since he was first harassed, he used to stay at friends houses quite often. So when that evening, Ruban didn’t come home, we thought he might have stayed at some friend’s home for the night. But that was not the case. My mother, who saw Ruban leaving, sensed something suspicious in his behaviour as he wore a new pair of shoes for prayers. The next day when he didn’t come and his phone was switched off, we thought he might have been arrested again. As the news of Ruban’s disappearance spread in the area, people started pouring in at our house. Two days later, I came across Ruban’s picture on facebook where he was holding a gun in his hand. The writing attached suggested that he had joined a little known militant outfit called Al Badr. I was instantly shattered. I now knew for sure that we have lost Ruban forever. But still, I didn’t want to give up hope. Since that day everyone in the family is trying his best to get Ruban back. We know it is an impossible task, but we have no option but to try. All we have is hope.